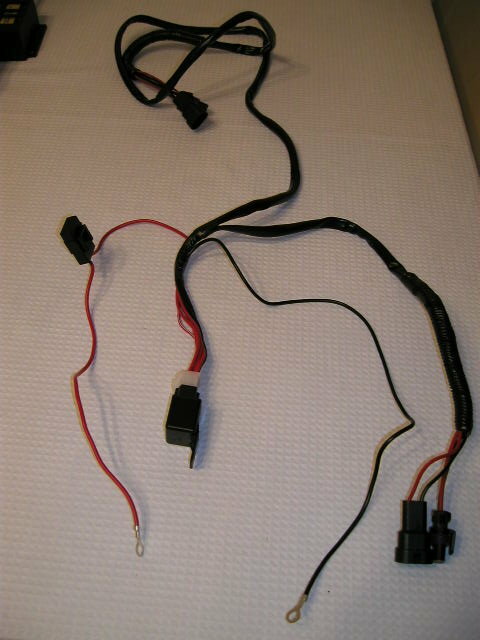 I just bought a Philips HID retrofit kit from Advanceimports.com The kit has the philips ballast, osram 6000k bulbs and all wiring is insulated. I am having trouble with the relay. Most kits I have seen have 2 relays but the kit I received only has one relay. 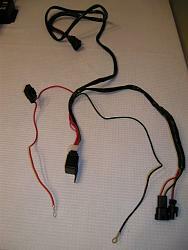 Can anyone tell me what I hook this relay up to and where can I find it. I have a 99 gs300. The bulbs fit perfectly and the only thing holding me up is this relay problem. I have no experience installing HID kits so this is all new to me. Everyone I talked to says its so easy. Any help would be greatly appreciated. Does your wires look like mine? My pics show the single relay already connected to the wire setup. Last edited by PHML; 03-12-03 at 11:27 AM. My relay is setup before the ballast. 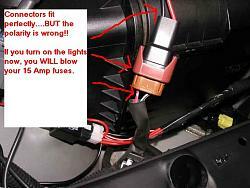 I just tried installing my kit last night.....and guess what.....I also blew both 15 Amp fuses too. I already contacted Jason (Discountcycle) for any advice. He admitted that the instruction manual was NOT updated to show the current wiring setup....that was the reason for the delay in shipment as well. He said he was gonna email me pics of the 9006 setup (today or tomorrow) with the new wires. Got 1 question with the connection between the 9006 sockets.... did you connect it with the notch locking it in place? If you did, notice the wire color.....its black to red, and red to white/black. I'm wondering if that's why the fuses popped. Last edited by PHML; 06-20-03 at 02:15 PM. Just wondering if it should it be red to red, and black to white/black? To do that, you would either have to #1. push the pins out from one 9006 socket and switch the pins around OR, #2. flip the 9006 socket over and connect the sockets WITHOUT using the little notch....that means.... in time... the connection may become loose. Here's the pic of the #2. option....it should still connect. Last edited by PHML; 06-20-03 at 02:17 PM. Here's a pic of the connections.....I didnt mount anything yet.....just wanted to test it out before I started making permanent mountings. Like I said.....still not sure why both 15 Amp fuses popped. I will email or post solutions from Jason as soon as I can verify them. 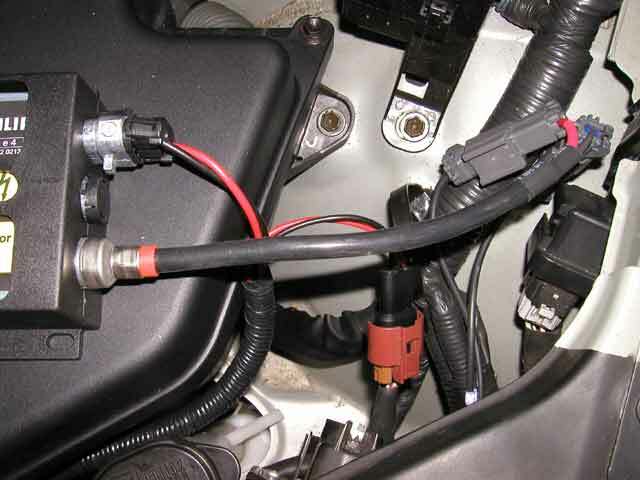 btw, I had to get a longer red wire (the one from the batter to the fuse) because the whole wiring kit was a bit short for me. I ran the wires in front of my radiator and zip tied underneath the black (unpainted) frame next to the upper radiator. There should be a small opening on both sides of the upper corners of the radiator (foam area) and housing unit. Just stick your finger to push the foam aside and push the socket out of the engine bay area.....head and wires through foam to the other side of the radiator.....back in to the engine area for the driver side.....again going through the foam area. By doing this....I found that the connection to the battery was a bit short. I wanted a somewhat clean install.....attempt to hide wires, etc. Last edited by PHML; 03-13-03 at 10:27 AM. Anyone else worked on this wiring setup? 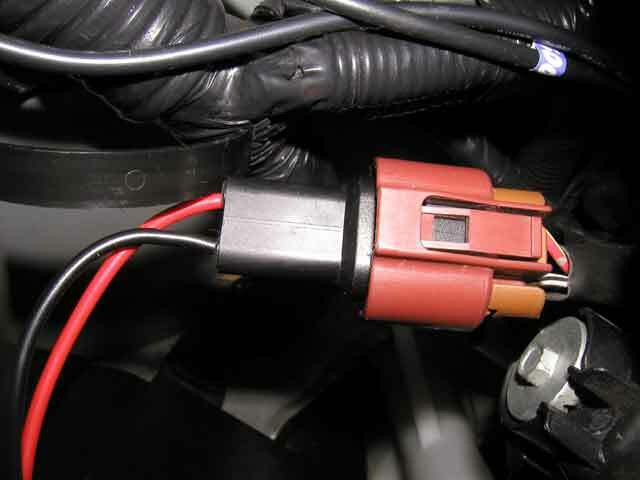 connectors in the auxiliary harness plug to your original headlight plug. in order for the bulbs to light up. send you pictures of the HID kit installed and working.